I thought that I had to be an extremely successful entrepreneur before I could start speaking. Muhammed Tijani is extremely passionate about education. He was only nine when he moved from USA. Muhammed was eventually denied his right to education for several years due to reasons beyond his control. During Muhammed’s educational interlude, he got the opportunity to read ‘RICH DAD POOR DAD’ by Robert Kiyosaki. He is a first generation american who not only grew up in a bi religious household, but spent nearly equal parts of his life growing up on two continents. It all started with ‘Rich Dad Poor Dad.’ This book really caused me to challenge myself and think in many different ways. I knew that I wanted to be a motivational speaker and an entrepreneur. I thought that I had to be an extremely successful entrepreneur before I could start speaking. However, this all changed when I saw Fred Duku Silver with his motivational brand. This jump started yet another phase of my life. EXECUTION! Q: What unique and creative strategies if any did you use when you were first getting started. I utilized social media as a platform to give out motivational quotes, share videos of other speakers, and even that of myself. Eventually, we were able to set up other logistics which would have not been possible had I not started. In addition, since my middle name is Salis and I am engaging in acts of inspiration, I decided to name my motivational brand ‘Salispirations’ so that someone in my country will be inspired to know that they too can become successful. I have always been a very ambitious person. I made a decision when I was 15 that I would return to the US and attend Harvard College. I am a huge believer in Grant Cardone’s 10X rule. 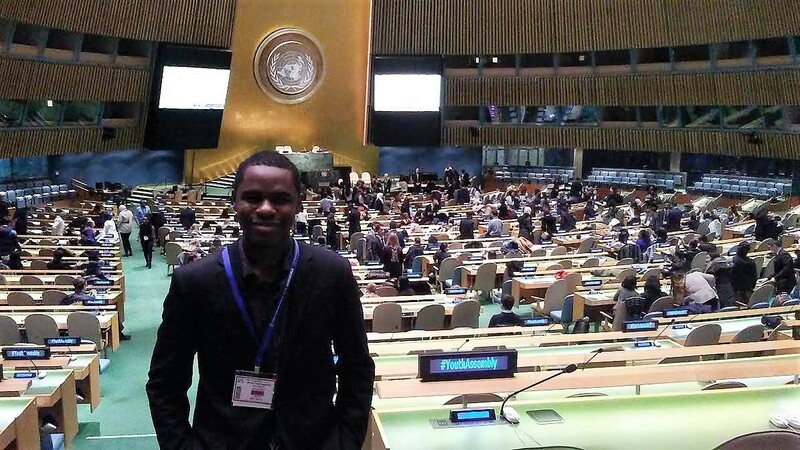 Since my goals were very big, I eventually found my self gaining access to big opportunities such as the UN Youth Assembly and the World Bank Youth Summit among many others. I do not see failure as a negative thing. The mistake most people make is that the see failure as a bad thing. In the context that I am using failure, it is a good thing. This is because you just have to keep going. If people were to do this, would there be any failure in the first place? Besides being able to sell your ideas, yourself and execute, another good piece of advice is to 10X your goals. My grandfather would always tell me that it is the struggles, the trials, and tribulations which make a man strong. This is something that has held true throughout my life. If you enjoyed this story, hit the heart button to drive in more people to read about Muhammed’s amazing story.